September is National Cholesterol Education Month. September is National Cholesterol Education Month, so it's a good idea to find out if your clients know the negative effect high cholesterol can have on their health. According to the Centers for Disease Control and Prevention, the main risk factor for heart disease and stroke is high cholesterol. There are two kinds of cholesterol, which can sometimes confuse clients. High-density lipoprotein (HDL) and low-density lipoprotein (LDL), and LDL is called "bad" cholesterol while HDL is called "good" cholesterol. 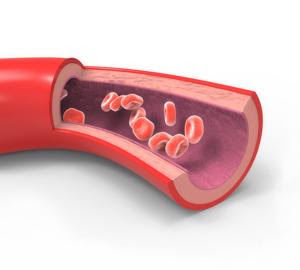 When there is too much LDL in the blood, it can cause blockages in the arteries, leading to heart attack, heart disease and stroke. The CDC stated that there are 71 million American adults dealing with high cholesterol, but only one-third have the condition under control. National Cholesterol Education Month allows you, as a provider of senior care services, to give your clients with the information they need to get high cholesterol under control. Not smoking: Smoking plays a major role in heart attack and stroke due to the toxic chemicals in cigarettes. Individuals should quit as soon as possible. Eating healthy: It's important to avoid certain foods to keep cholesterol at a healthy level. This means staying away from saturated and trans fats, often found in foods like French fries, margarine and pie crust. Exercising: Your clients should aim to get at least 2 hours and 30 minutes of exercise each week to help lower cholesterol.